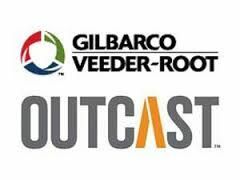 Gilbarco Veeder-Root, the retail petroleum technology provider, has reached a definitive agreement to acquire Outcast Media, the fastest growing video network at the pump. Outcast will operate as the media business unit of Gilbarco, putting the combined company in a unique position to create the largest network of one-to-one TV experiences for the on-the-go consumer. Gilbarco’s Applause TV delivers entertainment and effective advertising content to grow awareness and retail sales. Retailers will benefit from the acquisition as Gilbarco and Outcast introduce new forms of media designed to grow c-store sales and enhance a consumer’s experience while fueling. This deal will fuel growth of Outcast’s national network currently reaching a monthly audience of 36 million viewers measured by Nielsen, which rivals the delivery of top broadcast TV shows. The network will now have more immediate access to Gilbarco’s customer base of over 60,000 retail fueling stations and will grow to more than 100 million monthly viewers over the next two years.